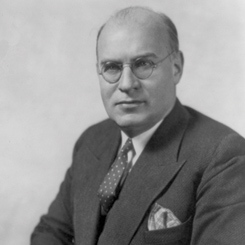 Image courtesy of Library of Congress Emanuel Celler of New York led the Judiciary Committee for 11 terms—the longest tenure for any chairman in the committee's history. On this date, less than a week after the assassination of Dr. Martin Luther King Jr., the House of Representatives passed the Fair Housing Act of 1968—also known as the Civil Rights Act of 1968—which prohibited discrimination in the sale or rental of housing nationwide. Introduced as H.R. 2516 by House Judiciary Committee chairman Emanuel Celler of New York on January 17, 1967, the bill passed the House in August 1967 and made it through the Senate with amendments on March 11, 1968. The bill then entered a legislative limbo as the House Rules Committee—which had long acted as a brake on civil rights initiatives—postponed action on the amended Senate bill until April 9. Rules Committee Chairman William Colmer of Mississippi was, as he put it, “violently opposed to this kind of legislation.” But King’s murder on April 4 in Memphis, Tennessee, changed the calculus for passage, igniting a week of intense debate in the House over the fate of the legislation as riots spread through cities across America. On Friday, April 5, President Lyndon B. Johnson sent a letter to Speaker John McCormack of Massachusetts asking him “to bring this bill to a vote” as soon as possible in order to show the nation that its leaders were acting on civil rights issues championed by King. After a turbulent weekend of violence in Washington and other cities, the Rules Committee met on April 9. Rather than sending it to the floor for a vote, Colmer hoped to delay the bill by sending it to a conference committee for additional changes. Representative John B. Anderson of Illinois—who had initially been against moving the bill to the floor, but changed his mind—was the decisive vote as the Rules Committee rejected Colmer’s plan. The committee then turned its attention to H. Res. 1100, the special rule for the housing bill proposed by Representative Ray Madden of Illinois. If passed by the House, the resolution would end debate on the Senate’s amended version of H.R. 2516 and send the bill directly to the White House without changes. The committee voted 9-6 in favor of sending H. Res. 1100 to the House Floor for debate. On April 10, the House engaged in one hour of heated debate. Opponents decried the intervention of the federal government in what they viewed as a state-level concern. Representative Joseph D. Waggonner of Louisiana claimed that rioters had “blackmailed” the House into considering the bill. Representative Anderson, however, saw the violence as the product of “conditions that for all too long have been left untended in our society.” A final attempt to derail the bill by sending it to committee was rejected by a vote of 229 to 195. With cheers from the packed House Gallery, H. Res. 1100 swiftly passed by a vote of 250 to 172. President Johnson signed the bill into law on April 11, 1968.